Indian Strategic Studies: Can Russia Help Bring Peace to Afghanistan? In 2016, Russia initiated a series of meetings among countries neighboring Afghanistan known as the Moscow Process. In the first meeting, Afghanistan was not even invited – only Russia, China, and Pakistan attended the meeting. In 2017, Afghanistan, India, and several Central Asian countries were added. The United States did not attend any of the meetings and perceived them as an overlapping effort that lacked clarity. In 2018, a third multilateral dialogue was planned to which the Taliban were invited. The Afghan government declined to attend on the grounds that the Taliban were invited to the meeting as an equal peer, and the Taliban on the other hand refused to engage in direct talks with the Afghan government. For Kabul, the move undermined the legitimacy of its own initiative, the U.S.-backed Kabul Process. The dialogue was ultimately postponed, and may or may not take place in the future as sides have not been able to agree on the purpose and the content of the meeting. Moscow’s contact with the Taliban is not new and there have been contacts since 2005. Russia has allegedly shared intelligence with the Taliban, and there has been much speculation that Moscow has even armed them. Whether these claims are true or false, Russia’s contact with the Taliban has given the group a degree of legitimacy and recognition at a time when the Afghan government could use some of that legitimacy and recognition itself. Russia has also been in contact with some Afghan warlords in the north. To add to the confusion, since 2016, Russia has been conducting annual joint military drills with Pakistan along the Afghan border. 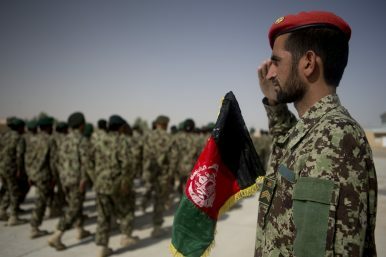 Some Afghans are concerned that Afghanistan once again may become a geopolitical battlefield between the two great powers, this time the United States and Russia. This could take Afghanistan to a different and more dangerous level of turmoil than even the current conflict. Moscow’s main concerns in Afghanistan are linked to the expansion of the Islamic State’s regional iteration, the Islamic State Khorasan Province (ISKP), and the flow of narcotics northward. These are legitimate concerns. Russia has said its contact with the Taliban is for the safety of its citizens present in Afghanistan and to end the Afghan conflict. However, Russia does not have a sizable footprint in Afghanistan to protect, and its engagement with the Taliban has had no impact on the level of violence in the country. Moscow has rejected theidea that it is using the Taliban to fight ISKP. The Afghan Taliban has a narrow national focus on reinstating a puritan system in Afghanistan whereas the Islamic State is considered a transnational threat with a continental agenda. Kabul insists that the Afghan reconciliation process must be “Afghan-led and Afghan-owned,” but has shown flexibility. Afghanistan has cautiously welcomed efforts that may help initiate a genuine peace process involving the Taliban. In late 2012, the group met with a number of Afghan factions, representatives of the government and international observers in Chantilly, and in later years in Oslo and several other venues, including the most anticipated semi-direct talks in Murree, Pakistan, in 2015. In February 2018, when Afghan President Ashraf Ghani announced a roadmap for peace, including a bold offer to recognize the Taliban as a political party in return for peace, further political dialogues were held in Mecca, Tashkent, Jakarta, and elsewhere. These efforts display Afghanistan’s realization of the importance of creating an international consensus on peacemaking in the country and bringing the Taliban into the political fold. However, parallel processes that seek different outcomes for short-term gains can be counterproductive. The United States, too, is not necessarily against regional cooperation in Afghanistan. The U.S. Department of State has appointed ambassador Zalmay Khalilzad, a veteran diplomat, as U.S. Special Advisor for Afghanistan Reconciliation. Khalilzad has traveled to the region and met with regional actors, including Pakistan, Saudi Arabia, the UAE, and Qatar. Washington has been in contact with the Taliban too, including direct official contacts with the group’s political office in Doha. U.S. engagement with the Taliban has taken place in consultation with, if not with the permission of, the Afghan government. As for U.S.-Russia talks on Afghanistan, there hasn’t been a breakthrough. The United States has avoided the Moscow Process and emphasized alternatives, such as the Kabul Process. Russia, on the other hand, has insisted on the usefulness of its own process. At a time when U.S.-Russia relations are soured in several areas including disagreements on Syria, Ukraine, and the Intermediate-Range Nuclear Forces (INF) Treaty. Afghanistan may be one of the few areas where the two countries could cooperate. Russia’s overarching security interests, mainly transnational terrorism and drug trafficking, align with Afghan and American objectives. Moscow’s efforts can be useful when they are well defined and are held in unison with efforts by Afghanistan and the United States, as two major parties to the conflict. Engaging with the Taliban for humanitarian causes and the initiating of a peace process is inevitable. Nonetheless, contacts that can embolden and disincentive the group to come the negotiating tables goes against the stabilization needs of Afghanistan. Russia’s peacemaking efforts must meet Afghanistan’s needs, which include initiating negotiations, achieving a political solution, and ultimately peace, and then maintaining that peace. This entails encouraging the Taliban to the negotiating table without undermining the Afghan government. Afghanistan can only achieve and maintain peace when the Afghan state is capable of governing, accountable to its citizens and acts as a responsible member of the international community. Afghanistan cannot be stabilized when actors rely on non-state actors to secure their perceived national interests.